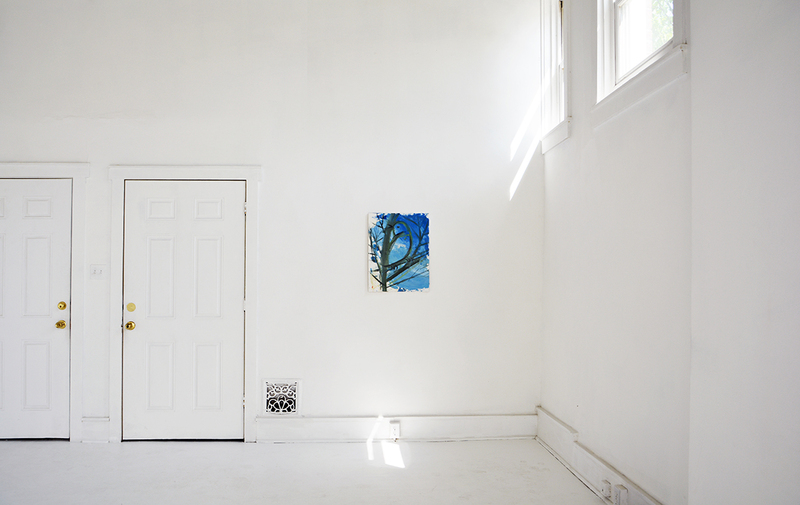 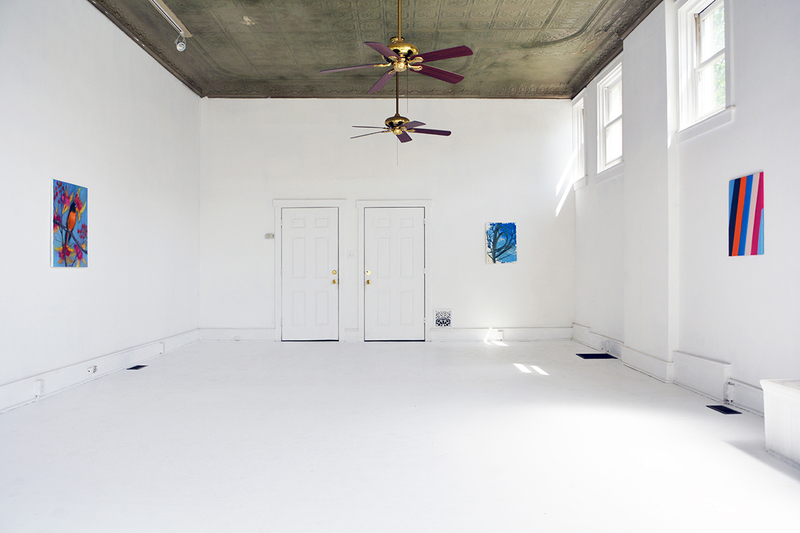 In 2015, Craven began exhibiting her extensive series of Untitled (Palettes) – created from 1999 to present – in which she has been mixing color directly onto light-duty pre-stretched canvases. 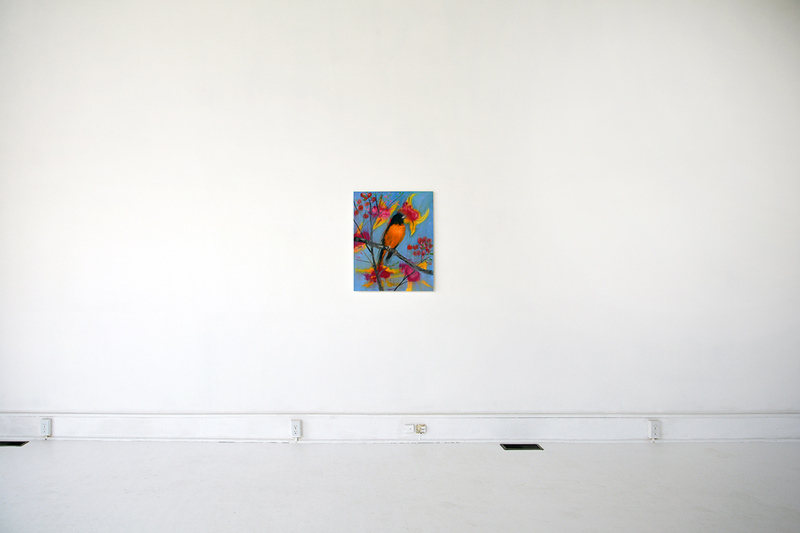 The palette at Parapet Real Humans titled Untitled (Robin, 2-21-11), 2011 was used to mix the colors for A Robin Singing, 2011. 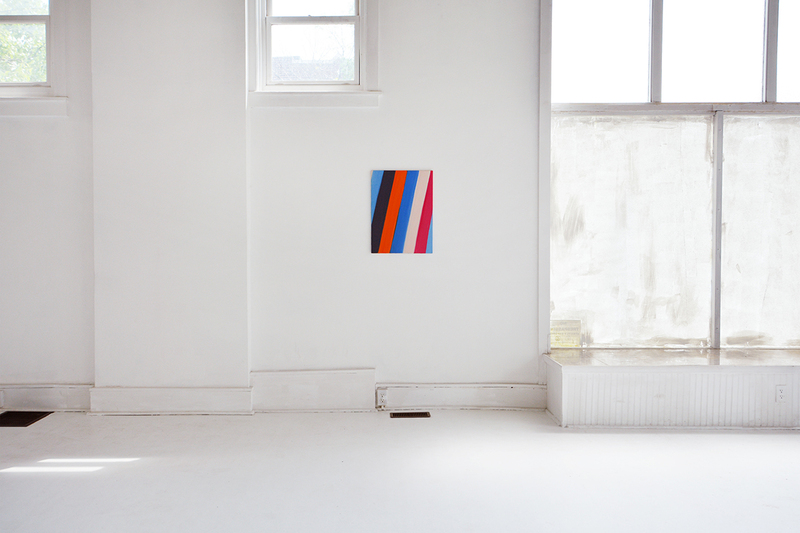 Guided by minimalist tendencies, Craven’s Stripe Paintings contain the unused colors from her palettes. 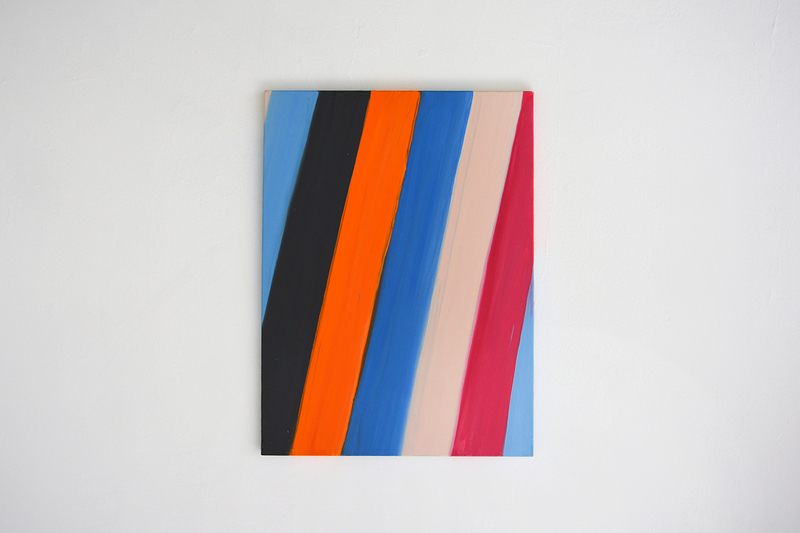 The simple gesture of striping or painting her unconscious color mixtures records the process as a “notation” or “transcription of logged time” like a tape recorder. 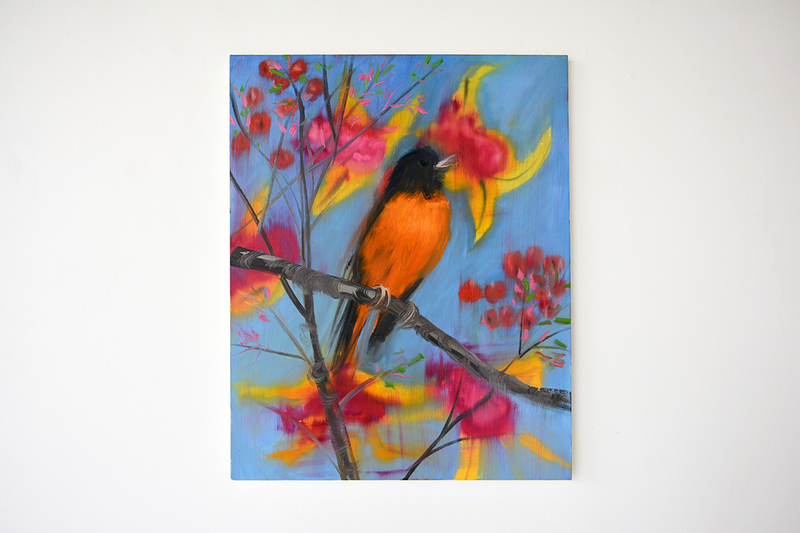 This stripe painting titled Stripe (Portrait of a Robin, 2-23-11), 2011 was made from the unused color from the palette after painting A Robin Singing, 2011. 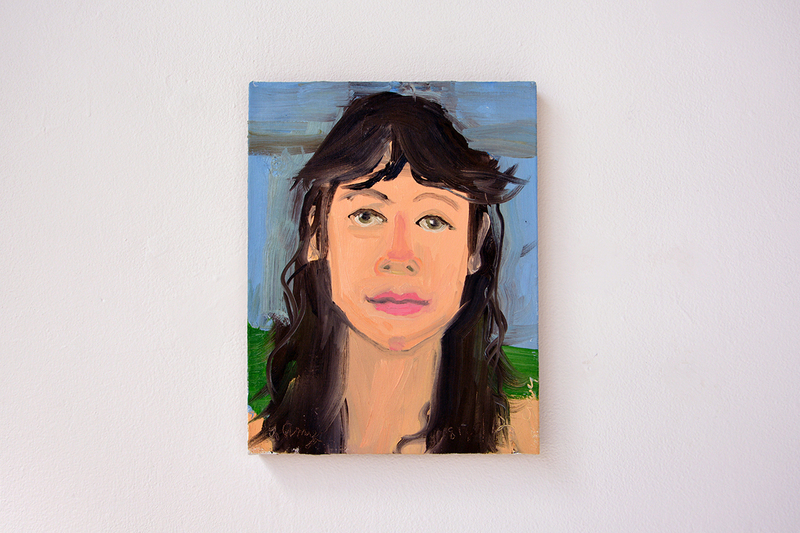 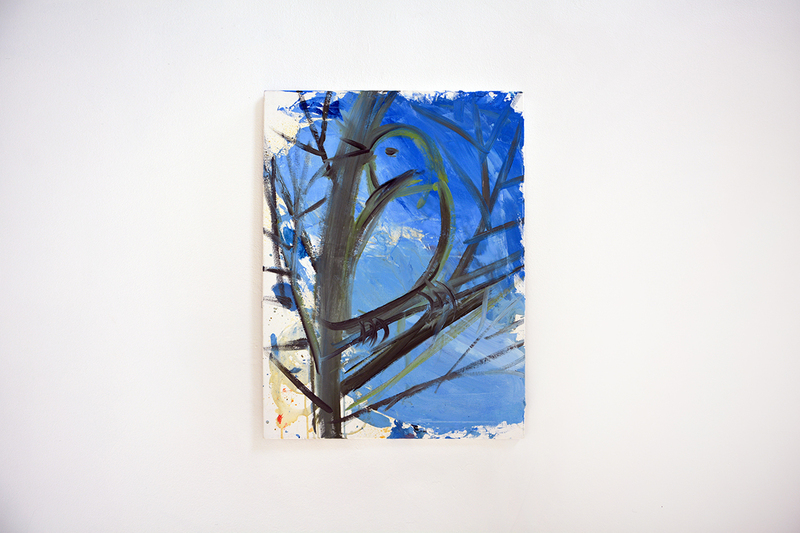 Craven sees no differentiation from the four canvases in this exhibition – a portrait, a bird, a stripe or a palette and treats them as the same entity, thus taking the hierarchy out of “subject” – placing more emphasis on the unbridled process of “form”.